Once there was a fine giraffe, a very fine giraffe indeed. He was smart, but I should warn you, dear reader, he was selfish, very selfish, and cared a lot about how he looked. One day, dear reader, the very smart, very selfish giraffe looked in the mirror and said, "Oh, my best friend Hippo is getting married. I must set off and find something better to wear." Shira's writing was surprising because she was not much of a reader, by which I mean she did not read on her own. While other parents bragged about their children reading Harry Potter quietly in their bedrooms, I spent hours, days, entire weekends on the living room sofa with my daughter, reading aloud the seven heavy tomes about the boy wizard. She stared out the window, one hand massaging my ear, while my voice went hoarse reading chapter after chapter. All the while, my daughter absorbed the elements of craft—setting, voice, character, conflict—that many writers spend their life savings going to graduate school to learn. More importantly, she was practicing the two most important skills for a writer: listening and paying attention. While I was excited about my daughter's apparent gift, it made me doubt my own abilities. 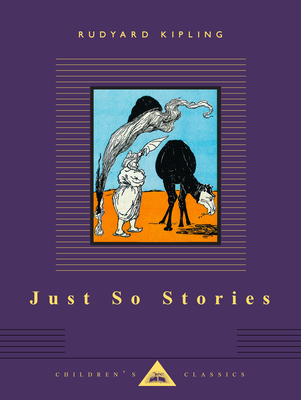 I had been working on a book for nearly ten years. I imagined Shira winning literary prizes by the time she was 30, while I continued to struggle with the same manuscript my entire life. I worried I would resent my child, poison our relationship with jealousy. A few years before I became pregnant with Shira, I turned down a tenure-track position in art history because I wanted to write and raise a child. I believed the two occupations—motherhood and writing—would fit well together, that I could easily slip from one to the other. I did not foresee that they would constantly conflict, and that most days I would have to choose. During the most intense period of physical and emotional attachment, when my daughter was an infant, writing was a means to connect to my deepest self. It was also a way to disconnect from her, to tear myself temporarily away from the vigil of meeting her every need. The first time I wrote after she was born, she was one week old and unexpectedly fell asleep in the playpen outside my office. I tiptoed to my desk, took out a notebook, and within minutes dropped into another dimension, into a solitude I thought I forfeited the day I checked into the maternity ward. It frightened me that my focus could shift so easily, that I could forget for a moment Shira’s tiny existence. But I also felt free—even if my freedom only lasted a few minutes, interrupted by the sudden shriek of a hungry child and the return to the continuous loop of breast feeding, burping, and refreshing diapers. No matter how short the writing period, when my daughter was an infant, I wrote for those silent and sacred moments of solitude and separation. When Shira was five months old, she began waking every hour through the night, each time needing the breast to go back to sleep. Naptime was equally challenging. Afternoons we lay face-to-face in bed, my breast lying flat on the mattress between us, making access easy for her and staying horizontal possible for me. She slept 20 minutes, sometimes 30, before she woke and needed to nurse again. When she fell back to sleep a second time, I snuck out of bed and went to the rocking chair, where I kept a pile of books about women straddling art and motherhood. I pored through the pages in search of role models. Some women advised getting an outside studio and a full-time nanny, luxuries I couldn’t afford. Others woke before dawn to get their work done, hardly an option for me considering my already significant sleep deficit. 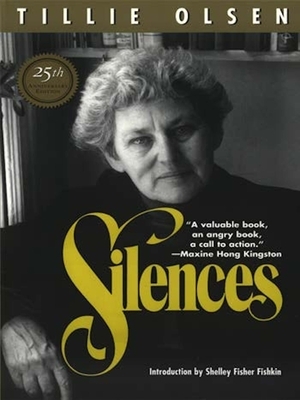 In Silences, Tillie Olsen's classic text on motherhood and writing, the author eulogized the unwritten books of women occupied with children and other domestic duties. She wrote, "Where the gifted among women (and men) have remained mute, or have never attained full capacity, it is because of circumstances, inner or outer, which oppose the needs of creation." I tried not to despair. By the time Shira was in elementary school, I was in perimenopause, and my conflict between motherhood and writing exploded into full battle, not only with myself, but also with my husband. His long hours at work translated into long hours of childcare for me. When I gave up that tenure-track position, I unknowingly gave up my economic advantage in the relationship. Because we relied on my husband’s job to sustain us, I didn't see a way out. It didn’t seem fair, and I blamed him. 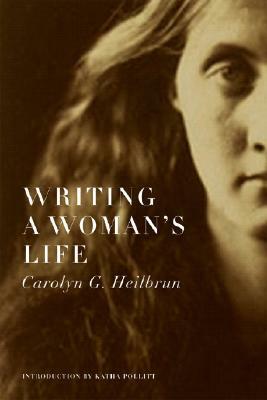 Around the same time, I began rereading a book that had been important to me in graduate school, Writing a Woman's Life, by Carolyn Heilbrun. The author argued that, in order to imagine lives built around achievement, women needed written accounts of lives that didn’t follow "the old story of a woman's destiny, the marriage plot." She warned that, "the woman may write her own life in advance of living it, unconsciously and without recognizing or naming the process." I always considered myself a feminist—I wrote my dissertation on feminism and performance art—but I found my life limited by the choices I'd made. Not only had I acted out the marriage script and followed my husband from New York to Austin, Texas, but I had also married a rabbi, a public figure of authority. When I met Steve, I found his occupation novel. He was not a corporate man, not a lawyer. He was sensitive and respectful of women and supported me in my career choices. It wasn't easy getting out of his shadow in our new community, but I worked hard to make my own life and build my own circle of friendship and support. We had been married ten years when we had Shira, so I was more than aware of his schedule. But I had not considered that Steve's long hours, combined with motherhood and the solitary act of writing, would render me invisible to the outside world. While my husband addressed his community from the elevated platform of the pulpit, keeping his congregation rapt with his sermons and sage teaching, I stayed home and changed diapers, laid out art projects, and took my daughter to the library, dance lessons, swimming lessons, and the park. I wrote, but without validation from the outside world. I believed publication was my ticket back to public life, a way to reboot my career. I tried for years to write a book about the feminist sculptor and performance artist Hannah Wilke, the subject of my doctoral dissertation. A publishing contract would create needed deadlines to move the book forward. I found an agent quickly—Wilke was a compelling subject with her history of celebrity lovers and her practice of provocative posing for the camera—but I knew little about structure or storytelling, and my agent quickly realized my work wasn’t ready for publication. To learn those skills, I sought the guidance of a writing mentor, who taught me about scene and structure and showed me how to read for craft. But when I let him set the agenda for my book in progress, I got lost and the project came to a dead end. I didn’t know what my book was about anymore, and no authority or expert could help me with that. I realized that, despite my desire to rejoin public life, I needed to give up the distraction and dream of publication, to go underground and write without thoughts of recognition. 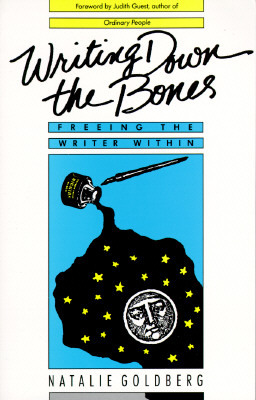 I turned to Writing Down the Bones, by Natalie Goldberg. Following Goldberg's rules for writing practice had helped me through my dissertation and eventually became my path out of academe into a more creative and spiritually grounded life. I needed to return to writing practice now, to trust my own mind, get out of the way and let my material come through me. 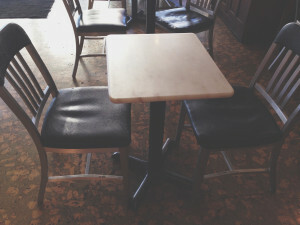 One day, when Shira was in sixth grade, she and I were eating Japanese food at a neighborhood haunt, sitting at our preferred table by the wall exchanging news of our day, when she told me about a writer she met in school. "We had a guest speaker in language arts today," she said, stuffing a piece of Philadelphia roll in her mouth. "A science fiction and fantasy writer." I knew about the speaker because the teacher sent an email. The children would have the opportunity to hear about a writer’s work and daily life and learn about his process. It would be good for her to meet a real writer, I thought, someone who had actually completed and published his books. "He told us the only con to being a writer was that you didn't make a lot of money," Shira said with a smirk. "But that's ridiculous. I wanted to scream at him that my mother had been working on the same book for years and it was a lot of work and that she keeps at it no matter how frustrated she gets." She looked up. "I admire you for that," she said. After dinner, I took Shira to a coffee shop to do her homework, setting up camp with our laptops and notebooks. I read and wrote while she composed sentences from words with Latin roots. After an hour, we took a break to get a snack. "That meant a lot to me," I told her while we stood in line. "What you said about sticking with my book." "It's true, Mom," she said. "You know how hard it is for me to finish things." Saddled with the downside of being a gifted child, my daughter suffered from crippling perfectionism, experiencing intense frustration when she made mistakes, giving up quickly when she "messed up." I hadn't considered that my persistence might help her overcome that. Natalie Goldberg says that it helps to write for someone else the way she wrote for her Zen teacher, Katagiri Roshi, carrying his work forward through her writing and teaching. I thought it might help if I had someone to write for, too. I considered writing for my birth father, dead from a heart attack at 35, and who, I learned from my uncle, had been prone to beginning big projects and not following through with them. But I couldn't finish the book for him because I didn't know him well enough. I had seen pictures of him but didn't know his voice, never saw his handwriting on a piece of stationery. Writing for my dead birth father could not sustain me. For the past five years, I've taught what Goldberg calls "the true secret of writing"—sitting meditation, slow walking, and writing practice. Last spring, as I walked through my neighborhood, admiring a patch of wild poppies and lupines, I asked myself whether I could devote my writing and teaching to carrying on Natalie’s legacy the way she did for Katagiri. I could not. What could I devote my life to? I wondered. That answer was clear. I had already devoted myself to my daughter. I'd given 12 years of my life to her well-being, made sacrifices I didn't know I was capable of, spent endless hours tending to her needs, considered her future more than my own. For years I felt shame about the time it was taking me to write my book and for the poor example I set for her. As it turns out, I was setting the best example I could, for writing and for life. As a student of writing practice, I should have known better than to look outside myself for the direction of my book. I should have trusted the story was within me. Today I am writing the book I want to write, not to satisfy the academic world or the art world, my agent, or my teachers. I continue to write because I do not want to pass on my unfinished business to my daughter. She will not have to write a book for me, but feel free to tell her own story and not give up. In addition to the attention and care I have bestowed on her all of these years, this is the best gift I can give her. Saundra Goldman is a writer, art historian, and ethnographer, searching for patterns in artist’s lives and creative work. She is a curator of art and ideas, a mentor, and a teacher. Her work has appeared in Brain, Child, babble.com, Austin Woman, and the Austin American-Statesman. Saundra continues to slug it out with her manuscript about feminist sculptor and performance artist Hannah Wilke. She is also the founder of Creative Mix, a curated online studio for and about women stirring up new visions of the artist’s life. I love this! I'd recently given up on a writing project not because I didn't want to do it but because I wanted to do another, more challenging project first. Situations change and our motivations and goals often alter along with those changes. Sometimes our writing is the better for it and sometimes that wants to be altered as well. Sorry, I didn't complete my thought in my posting above. But getting a paycheck in a marriage is like having a house that increases in value. It only matters if you leave it. Thank you, Saundra, for writing this piece. It resonates with me because I have been writing a novel for three years now while raising my 3 girls with a husband who has a very demanding job that has him away much of the time. I feel like you have really portrayed well that feeling of not being a success if you have prioritized your children. My eldest daughter, age 9, has expressed to me how excited she is to be "old enough to read my book" (which is intended for a YA audience). Like you, I am motivated to finish by thinking of my daughters and how I want them to pursue their own dreams, whatever they may be. Your persistence in this model of womanhood, motherhood, and creative life strengthens and encourages me. Thank you. As an older woman, a published author, about to have my first child and to encounter all you have encountered this does my heart good to read. What a wonderful piece, full of hard truths. And I, like Shira, am proud of your persistence and relish reading each essay, story, and book you write and will write. Thank you. Beautifully written, Saundra. You have clearly learned a thing or two about story-telling. This brought me to tears. I have a two year old who is going through a really demanding stage. I have been working on writing, rewriting, and trying to publish a poetry manuscript for more than 10 years. My daughter finally went to sleep, and I sat down to write, but I felt like a deflated balloon. Then I read your essay it meant so much to me, to think that someday she might admire me for my dedication to this project. Thank you so much!